Elizabeth Croston Buckalew: Thank you, Peter! It's wonderful stuff! I always say that I love Flagstaff.... it's so much like "home" (Wyoming), except the winters aren't as long or brutal! This is a rather nice view to be having during your idle moments at work, Elizabeth. Elizabeth Croston Buckalew: This is the view out our front doors... can't complain! Elizabeth Croston Buckalew: It does, Lisl! I hope you'll get a little snow on Wednesday! WOW. That's a lot of snow, Elizabeth! Believe it or not, yesterday we had falling snow but because it was still above freezing outside, none of it stuck to the ground. At least we saw it falling! Elizabeth Croston Buckalew: Isn't it gorgeous! I'm glad you could enjoy the falling snow - sooooo pretty!!! And at least you didn't have to shovel, as Astrid says! So I did not need to get the shuffle out . I love all the snow on the trees, I hope nothing broke. Elizabeth Croston Buckalew: It was quite a bit... all melted now in our beautiful sunshine! I'm glad you didn't have to shovel - although I don't mind it myself! Most trees fared pretty well, thankfully! Elizabeth Croston Buckalew: A work of art! Oh, my dream of a wintery day - a beautiful photo! 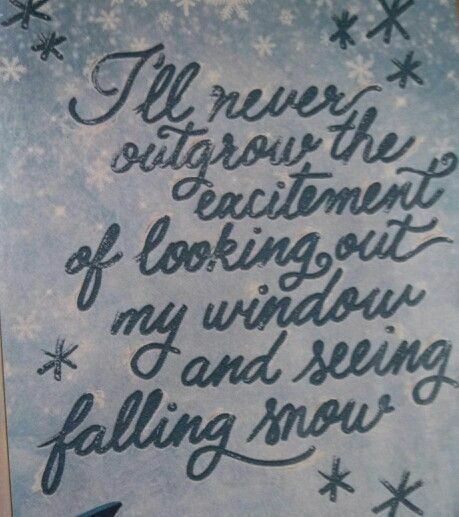 Elizabeth Croston Buckalew: You, too - know the beauty of snow! Thank you, Philine! What a beautiful Winter scene Elizabeth! Elizabeth Croston Buckalew: Thank you Richard!! We might actually see some snow here on Wednesday but I expect it will will only be on the Malvern Hills. This looks very wintery! Elizabeth Croston Buckalew: I hope you do get some snow!! Take some photos!! The yellow goes so well with the white snow Elizabeth. Elizabeth Croston Buckalew: Thank you Chad - I do like the way it looks here! Elizabeth Croston Buckalew: Yes - fortunately it was quite powdery, and most trees did fine with the load! This is an excellent shot as per your composition. I have seen falling snow about three times. Never where it is packed so thick. So, I am impressed with your view. Elizabeth Croston Buckalew: Thank you so much, Louis! I do love the snow - and in Flagstaff we have it off & on for 4-5 months of the year. Which is marvelous compared to where I grew up in Wyoming, which has recently been named the 5th coldest city in the U.S.! Colours looks so good in the white snow. I was just commenting the same to peter while looking at his dog in the snow. Elizabeth Croston Buckalew: Yes - it's nice to have some contrasting color!! Peters' dog is adorable! I'll happily swap your view with mine - especially with the snow. Elizabeth Croston Buckalew: Oh - there's nothing wrong with your view - all places have their beauty! What an amazing capture of a snowy day. Elizabeth Croston Buckalew: Thank you, Beth - and you know snow!! Elizabeth Croston Buckalew: Thank you kindly!! Fine shot, Mary - it is hard to tell what makes the pic, but I suspect that without the snow it would not be as interesting! You're right - an ordinary street without the snow! excellent shot, Elizabeth. but my eyes are more drawn to the branches bending under all the weight. Elizabeth Croston Buckalew: Thank you, Ayush! The trees were so beautiful with this snow! Elizabeth Croston Buckalew: A favorite to me!